Wouldn’t mind trying some of those drinks, if I had someone sober to drive. Good sign. I would definitely take a rest stop here. The sign is so inviting. One Bloody Mary please! Thanks. No idea what a Sazerac may be. rarely do you see a place that specialises in cocktails. Interesting find. Five dollars seems reasonable in these times. I’m curious about “brandy milk punch.” Is that one drink or three separate ones? Thanks for stopping by and commenting on my sign. 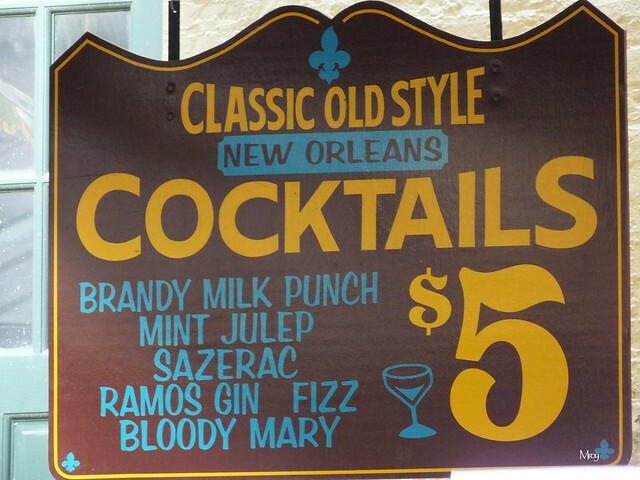 One Brandy Milk Punch, please! hehehe!